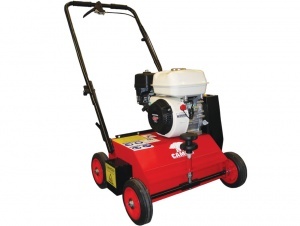 A scarifier & aerator in one capable package. The XC1 B40 from Cub Cadet has blades and springs that make it a versatile machine able to keep your lawn in the best of health. Thanks to a Cub Cadet 35H OHV 123cc engine, the XC1 B40 has sufficient power to really be able to tackle the tough thatch in your lawn. It is push driven, so you have full control over working speed, while the working depth can be adjusted with a central control. A lever on the handlebar lets you switch easily between transport and operating modes. 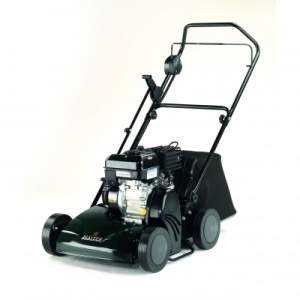 With 17 double blades and 16 double springs, the XC1 B40 provides excellent scarifying and aerating functionality. When used in the highest operating position it works like an aerator, and when working on a deeper setting it can scarify, giving you the flexibility to achieve a lush and green lawn at all times. This model has a working width of 40 cm / 15 inches,. Grass catcher is available as an optional extra. 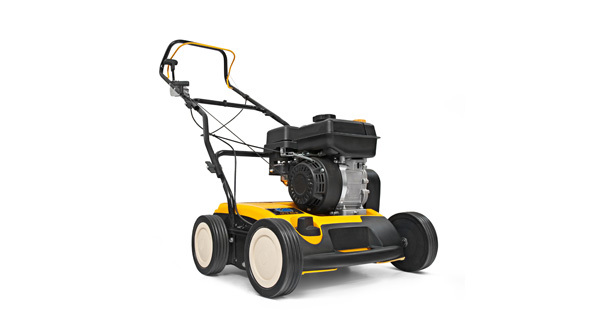 Featuring a Briggs and Stratton 550 series engine powering 15 fixed cutting blades, this machine will allows you to de-thatch and help maintain a healthy, lush lawn.